Arizona orthopedic surgeon Doug Clouse, MD, recently traveled to several cities in India to share expertise on total knee replacement. He gave lectures and performed procedures in front of hundreds of Indian orthopedic surgeons. Dr. Clouse was invited faculty at an India conference where over 100 surgeons watched him perform his state-of-the-art total knee replacement technique. Arizona orthopedic surgeon Doug Clouse, MD, recently traveled to several cities in India to share expertise on total knee replacement. He gave lectures and performed procedures in front of hundreds of Indian orthopedic surgeons. The trip took place in mid-August 2017 with lectures and procedures occurring throughout the country. 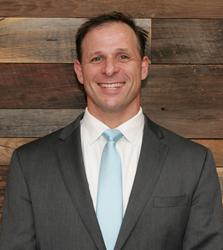 Dr. Clouse is an expert in total knee replacement and incorporates the latest techniques available such as customized implants, tissue sparing approaches and computerized placement. The knowledge sharing trip lasted a week and included time in Delhi, Indore, Pune and Jodhpur. He had the opportunity to perform a live knee replacement for approximately one hundred surgeons at the Current Concepts of Arthroplasty in India conference. As an invited faculty participant, Dr. Clouse also gave several lectures at the conference regarding how the procedures are performed in the United States. After having performed hundreds of total knee replacements successfully in Arizona, Dr. Clouse is highly regarded by patients and peers for his expertise and outcomes. He practices with Orthopedic and Sports Performance Institute in Gilbert, Arizona, known as OSPI for short. Most insurance is accepted at Dr. Clouse's office, visit http://ospiarizona.com for more information and call (480) 899-4333 to schedule.